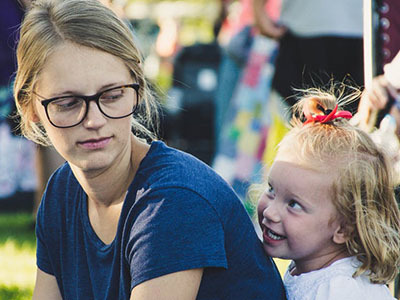 Do you have a family member attending the National Youth Gathering? If so we know that this is an expensive year for you! 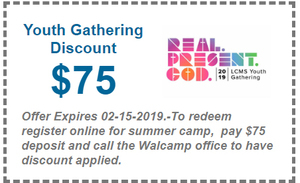 Walcamp would like to help by offering you $75 off Summer Camp in 2019. To redeem please register online and pay $75 deposit. on your summer camp registration. 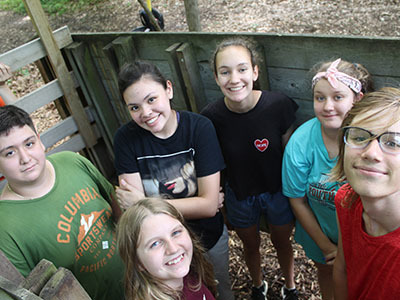 Walcamp offers a fun, safe environment for youth and persons of all ages to build relationships with God and with others, to experience nature and to grow as an individual and as part of a community. Experience the best of camp through games, archery, crafts, songs, swimming and more. 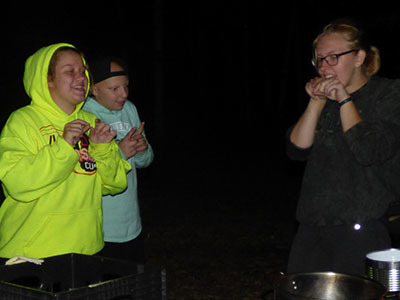 Activities meet or exceed the safety standards outlined by the American Camping Association (ACA) and are supervised by trained staff members. Make new friends, try new activities and challenge yourself physically, mentally and spiritually. Camp provides a safe place to ask questions and to explore truths seen in Creation and in the Bible. Live in community with others, demonstrate teamwork and find opportunities to put your faith into action. In Psalms and elsewhere, God is described as a Rock and a Refuge. 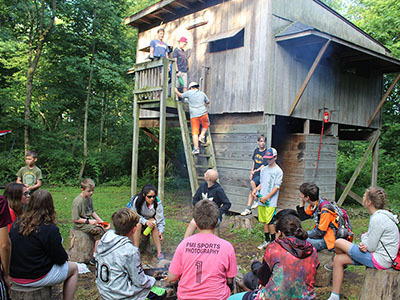 Campers this summer will explore concrete, physical aspects of nature - rocks - to ground spiritual discussions about a present – yet invisible – God. Inspired by the 2019 LCMS National Youth Gathering: "Real. Present. God." Life Rock looks at the reality of this almighty, invisible God in our lives, and compares the different types of prayer we can use when communicating with Him. Program options and availablilty subject to change. A great value for your summer day care needs-- Canoe on a lake, hike in the woods, wade in a river, and still be home by dinner! It’s day camp at a real camp. Programs runs from 8 am to 5 pm. Campers enjoy lunch in our dining hall and afternoon snacks at our camp store (included in price). Sign up for a day, a week, or the entire summer! For more Day Camp information, please click here. Bring your child to camp! New for Summer 2019! Enjoy a relaxing day or three at Walcamp with your child. Canoe, swim, play games, explore our natural surroundings and share stories around a campfire. Campers stay in a bunk-style cabin (guys with guys, girls with girls) with limited family-syle housing available. Designed for an adult and their child to attend together; families are also invited to attend. For more Family Retreat information, please click here. Excited to experience camp fun but not ready to stay a week? 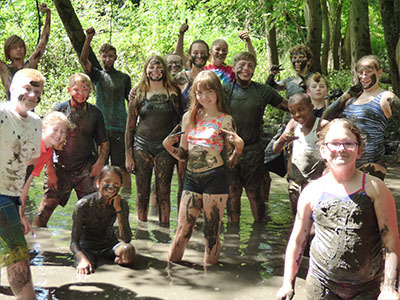 Discovery Camp is a two-night program of fun and adventure ideal for first-time campers. Experience the best of camp! 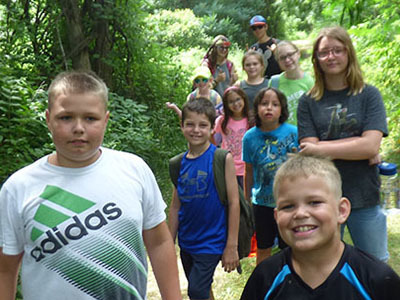 Classic Campers join in a week-long adventure that includes our campers’ all-time favorite activities. 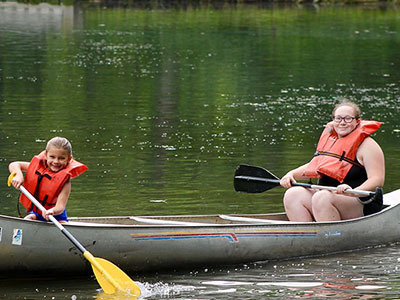 Canoe, swim, hike, play games, build craft projects, shoot archery, roast s’mores, explore God’s creation and learn about the love of Jesus in fun new ways! Ready for adventure, but hesitant about sleeping outdoors? 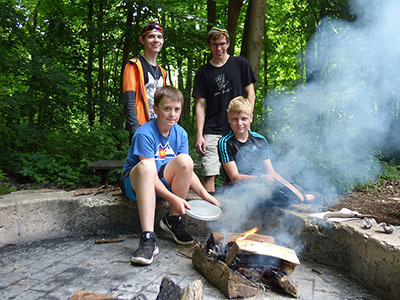 Explorer campers build shelters, cook over a campfire and develop other fun outdoors skills, then return to the comforts of an air-conditioned cabin. Experience many classic camp activities, then take your outdoor fun to the next level. NEW for Summer 2019! Integrate “plugged-in” video games and “unplugged” camp adventures in a healthy balance to grow personally and in community through team play and friendly competition. Go-Karts, Paintball, a vintage Arcade and other fun adventures included. Game on! Saddle up your horses! 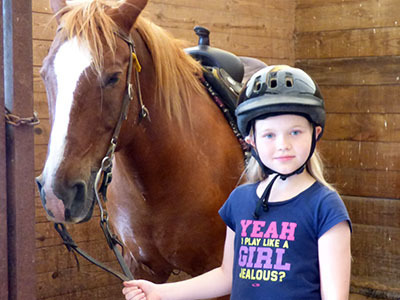 Visit Eagles Wings Equestrian Center each day to spend time you’re your trusty steed and learn how to ride like a champion, then return to camp and join in many classic camp adventures. Let’s ride! NEW for Summer 2019! 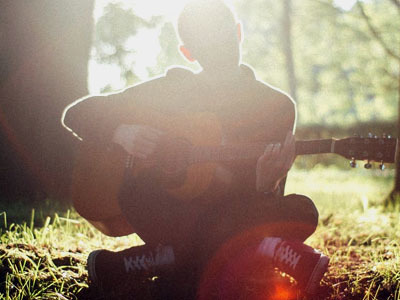 Bring your instrument* and spend a week at camp making a "joyful noise." Improve your rhythm and your ear for playing along with others. Play music each day, build your own musical instrument from nature and prepare for a talent show to display your talents at the end of the week, and take part in other classic camp activities. 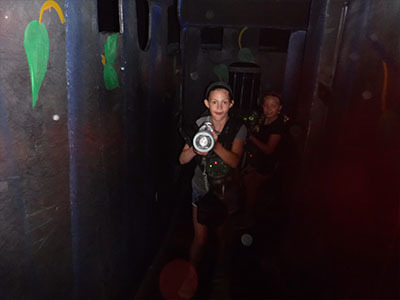 Sleep all day and stay out all night as you experience the life of night-time animals, go behind the scenes at a late-night restaurant and learn about the stars and God’s creativity, then throw in an escape room, laser tag, and experience a week of adventures with a fun camp twist! Play. Strategize. Win! Compete in a week of Paintball games and challenges while learning about the teamwork and strategy that goes into the game. 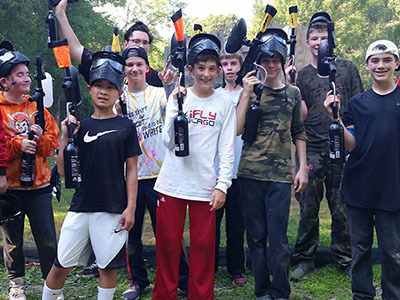 Spend time on each of Walcamp's paintball courses using the terrain to your advantage, then take a break and enjoy the other activities that camp offers. Armor not included. Paint and equipment is provided. Live sleepover style with friends, cook over a campfire, and enjoy the great outdoors you’re your cabin in the trees. Grow in community and learn new outdoor skills in this week of exploration and discovery. Allow God to transform you as you live and play in His amazing creation. Teen Leaders is designed for high school-age campers seeking to make the transition from child to adult in their communities. 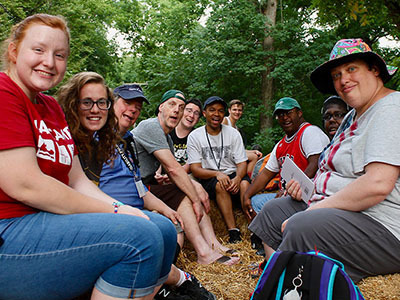 Participants enjoy a week of spiritual and leadership development similar to the training provided to our summer staff, along with tips for working with groups of youth, peers and other team members. Teens who complete this program are eligible to return to camp as Jr Counselors, providing them with opportunities to gain service hours and further develop the skills to become camp counselors and future leaders in their churches, careers and home communities. Walcamp is an accredited member of ACA. 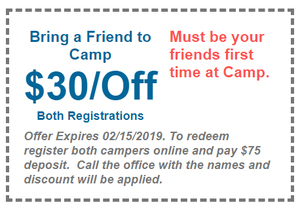 The American Camp Association is a community of camp professionals who, for over 100 years, have joined together to share knowledge and experience and to ensure the quality of camp programs. What is your favorite Camp?